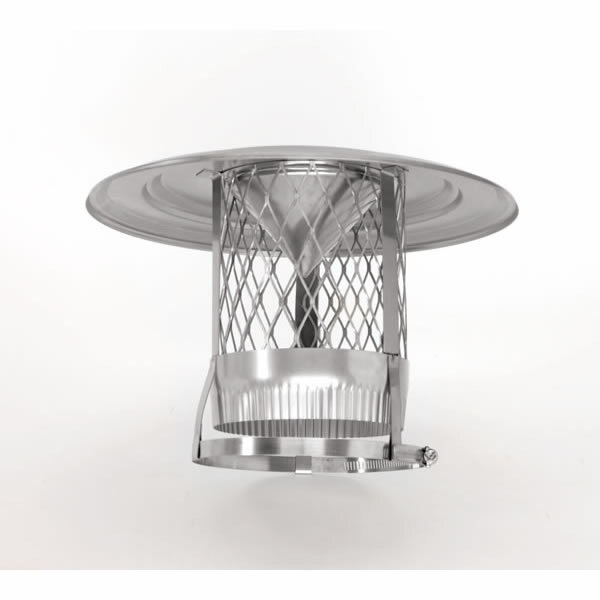 The HomesSaver Cone Cap for Chimney Liner is designed to maximize the life of your chimney and home system. This chimney liner features an inverted cone underneath its lid that directs creosote back down into the flue rather than onto the roof and exterior masonry surfaces. Produced with stainless steel, the HomeSaver Cone Cap for Chimney Liner is also designed to last for years to come. Keep your roof and home in best shape with the HomeSaver Cone Cap for Chimney Liner.